"Champaign" redirects here. For other uses, see Champaign (disambiguation). 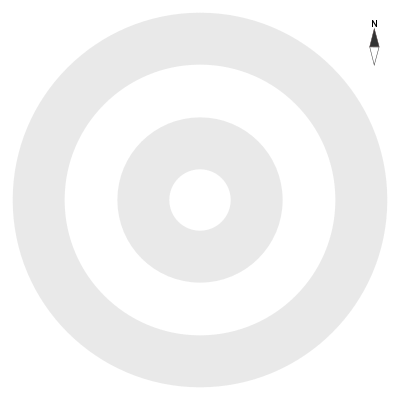 Champaign (English: /ˌʃæmˈpeɪn/) is a city in Champaign County, Illinois, United States. The city is 135 miles (217 km) south of Chicago, 124 miles (200 km) west of Indianapolis, Indiana, and 178 mi (286 km) northeast of St. Louis, Missouri. The United States Census Bureau estimates the city was home to 87,432 people as of July 1, 2017. Champaign is the tenth-most populous city in Illinois, and the state's fourth-most populous city outside the Chicago metropolitan area. It is included in the Champaign–Urbana metropolitan area. Champaign is notable for sharing the campus of the University of Illinois at Urbana–Champaign with its sister city of Urbana. Champaign is also home to Parkland College which serves about 18,000 students during the academic year. Due to the university and a number of well known technology startup companies, it is often referred to as the hub, or a significant landmark, of the Silicon Prairie. Champaign houses offices for Sony, and for the Fortune 500 companies Abbott, Archer Daniels Midland (ADM), Caterpillar, Deere & Company, Dow Chemical Company, IBM, and State Farm. Champaign was founded in 1855, when the Illinois Central Railroad laid its rail track two miles (3 km) west of downtown Urbana. Originally called "West Urbana", it was renamed Champaign when it acquired a city charter in 1860. Both the city and county name were derived from Champaign County, Ohio. The Cattle Bank building, constructed in 1858, is the oldest surviving building in Champaign. During February 1969, Carl Perkins joined with Bob Dylan to write the song "Champaign, Illinois", which Perkins released on his album On Top. The band Old 97's took another Bob Dylan song, "Desolation Row", and combined its melody with new lyrics to make a new song "Champaign, Illinois", which they released with Dylan's blessing on their 2010 album The Grand Theatre Volume One. It achieved considerable popularity. The two "Champaign, Illinois" songs are not similar to each other, except that Bob Dylan was involved in both of them. 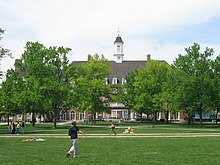 In 2005, Champaign-Urbana (specifically the University of Illinois) was the location of the National Science Olympiad Tournament, attracting young scientists from all 50 states. The city also hosts the state Science Olympiad competition every year. The University of Illinois at Urbana–Champaign once again hosted the National competition on May 20–22, 2010. Champaign is located on relatively high ground, providing sources to the Kaskaskia River to the west, and the Embarras River to the south. Downtown Champaign drains into Boneyard Creek, which feeds the Saline Branch of the Salt Fork Vermilion River. Champaign shares a border with the neighboring city of Urbana; together they are home to the University of Illinois. Champaign, Urbana, and the bordering village of Savoy form the Champaign-Urbana Metropolitan Area also known as Champaign-Urbana. It may also be colloquially known as the "Twin Cities" or Chambana. The city has a humid continental climate, typical of the Midwestern United States, with hot summers and cold, moderately snowy winters. Temperatures exceed 90 °F (32.2 °C) on an average of 24 days per year, and typically fall below 0 °F (−17.8 °C) on six nights annually. The record high temperature in Champaign was 109 °F (42.8 °C) in 1954, and the record low was −25 °F (−31.7 °C), recorded on four separate occasions − in 1899, 1905, 1994 and 1999. As of the 2010 census, 81,055 people and 34,434 total housing units in Champaign. The population density was 3,974.6 people per square mile (1,534.4/km²). There were 28,556 housing units at an average density of 1,681.0 per square mile (648.9/km²). The racial makeup of the city was 67.8% White, 15.62% African-American, 0.3% Native American, 10.6% Asian, 0.1% Pacific Islander, 2.7% from other races, and 3% from two or more races. Hispanic or Latino individuals of any race made up 6.3% of the population. According to the 2010 Census the median income for a household in the city was $41,403, and the median income for a family was $72,819. The per capita income for the city was $24,855. About 11.9% of families and 26.3% of the population were below the poverty line, including 24.0% of those under age 18 and 7.6% of those age 65 or over. The current city executive or Mayor of Champaign is Deborah Frank Feinen who assumed office in May 2015. She was re-elected to a second four year term in April 2019. Scott Bennett (D) represents Champaign in the Illinois Senate while Carol Ammons (D) represents Champaign in the Illinois House of Representatives. Rodney L. Davis (R) serves Illinois's 13th congressional district, which includes Champaign, in the United States House of Representatives. In addition to the University of Illinois, Champaign is also home to Parkland College. Herff Jones, formerly the Collegiate Cap and Gown, and Kraft also form part of the city's industrial base. Champaign is also home to nationally recognized record labels, artist management companies, booking agencies and recording studios. Polyvinyl Records, Undertow Music, Parasol Records, Great Western Record Recorders, Pogo Studios, and Nicodemus Booking Agency are all based in Champaign. In April 2011, the Christian Science Monitor named Champaign-Urbana one of the five cities leading the economic turnaround based on jobs; the information sector added over 300 jobs within a year and unemployment dropped 2.1%. The city also features a large technology and software industry mostly focusing on research and development of new technologies. The Research Park, located in southern Champaign and backed by the University of Illinois, is home to many companies, including Riverbed Technology, Citrix Systems, Abbott Laboratories, Dow Innovation Center, Intelligent Medical Objects, Yahoo! and the State Farm Research Center. Numerous other software and technology companies also have offices in Champaign including AMD, Intel, IBM, Amdocs, Infobright, Instarecon, Phonak, Power World, Caterpillar Simulation Center, and Volition. The largest high technology employer is Wolfram Research, with more than 400 employees in Champaign. The United States Army Corps of Engineers maintains the Construction Engineering Research Laboratory (CERL) in Champaign. Other major employers include Horizon Hobby, Jimmy John's, Plastipak, SuperValu, and Wolfram Research. The Art Theater Co-op, which shows critically acclaimed independent and foreign films, was built in 1913 as the Park Theatre. It has since undergone several changes in name and repertoire, including a phase from 1969 to 1986, in which it showed adult films. The theater is the only single-screen movie theater still in existence operating daily as a movie theater in Champaign-Urbana, and is the nation's first co-operatively owned art movie theater. The historic Virginia Theatre is a recently restored 1525-seat movie theater, dating back to the 1920s. It has an ornate, Spanish Renaissance-influenced interior, full stage and dressing rooms, and an elaborate Wurlitzer pipe organ. It hosts Roger Ebert's Overlooked Film Festival and has a single 56' x 23' screen. The theater does not have a daily show schedule, but schedules special screenings and live performances several times each month. Located along Green Street, this commercial district serves as the entertainment and retail center for students at the University of Illinois. This area has been undergoing change since 2002 with the completion of a new $7 million streetscape project. Campustown is now attracting new retail and entertainment stores as well as serving as the center for new construction projects. Several new projects opened in 2008 including the 18-story Burnham 310 high-rise and grocery store at 4th and Springfield, and a new 24-story apartment building called 309 Green. Orpheum Children's Science Museum. A hands on science museum for children. Krannert Art Museum. An Art Museum featuring both modern and classical art owned by the University of Illinois at Urbana–Champaign. It has 48,000 square feet (4,500 m2) of space devoted to all periods of art, from ancient Egyptian to contemporary photography. Champaign County Historical Museum. Located in the Historic Cattle Bank built in 1858. Features exhibits on the history of the area and the midwest as a whole. The University of Illinois at Urbana–Champaign fields ten men and eleven women varsity sports. Built from 1922–1923, Memorial Stadium was named in honor of the students and faculty members who died overseas during World War I. Since opening in 1923, Memorial Stadium has been home to Illinois Fighting Illini football. The stadium also was the temporary home of the NFL's Chicago Bears for the 2002 season while its regular venue Soldier Field was being renovated. Originally known as the Assembly Hall, the State Farm Center is home to the Illinois Fighting Illini men's basketball and Illinois Fighting Illini women's basketball teams. It holds the annual Broadway Series, which features popular musicals. During its history, the city has been home to several separate minor league baseball clubs. The first in 1889 was a shared club between Champaign and Logansport, Indiana called the Logansport/Champaign-Urbana Clippers. The Clippers played for one season in the Illinois–Indiana League before folding. The city hosted its second team, the Champaign-Urbana Velvets from 1911–1914 who played in the Illinois–Missouri League until the league disbanded after 1914. The city's most recent minor league team was the Champaign-Urbana Bandits who played during the single 1994 season of the Great Central League. The Bandits played at Illinois Field. Prior to holding postseason play, the league folded. Twice Champaign was also home to a Collegiate Summer Baseball League team. The city's Champaign County Colts were a founding member of the Central Illinois Collegiate League from 1963–1964. In 1990 the Colts were revived as the Champaign-Urbana Colts until the team folded in 1996. The more recent club played its home games at Illinois Field. In October 2014, the Midwest Professional Basketball Association announced the creation of the Champaign Swarm as one of its founding members, that began play at the Dodds Athletic Center in January 2015. The city of Champaign is served by Champaign Unit 4 School District. Unit 4 administers both Champaign Central High School and Champaign Centennial High School. Champaign is also served by two private high schools. The larger of the two is a Roman Catholic High school, St. Thomas More High School which is located on the city's far northwest side. The school opened in 2000 and is the newest charter of the Roman Catholic Diocese of Peoria. The other is Judah Christian School, which is located just south of I-74 on Prospect Avenue. Judah Christian opened in 1983 and serves about 120 9th- 12th grade students. The entire school's pre-K through 12th grade enrollment is a little more than 500 students. Located within Champaign are two institutions of higher education, the University of Illinois at Urbana–Champaign and Parkland College. Champaign is served by I-57, I-72, I-74, two railroad lines, and the University of Illinois operated Willard Airport (CMI). Champaign is served by Willard Airport (CMI) which is operated by the University of Illinois at Urbana–Champaign. The airport is currently served by American Eagle offering daily flights to Chicago O'Hare International Airport and Dallas/Fort Worth International Airport. Housed at the Willard Airport was the University of Illinois Institute of Aviation, which was forced to close for the 2013–2014 academic year due to university budget cuts after 60 years of operation. The local bus system, which is supported by the taxpayers of the Champaign-Urbana Mass Transit District (MTD) and the University of Illinois, serves Champaign, Urbana, Savoy, and surrounding areas. The C-U MTD has twice been named as the best local transit system in the United States. In 1999, a newly designed intermodal transportation center, aptly named Illinois Terminal by historic reference to the defunct electric interurban rail line that once ran through Champaign, was completed and serves as a central facility for intercity passenger rail, bus services as well as the MTD's local bus network. Amtrak provides service to Champaign-Urbana by: Train 58/59, the City of New Orleans; Train 390/391, the Saluki; and Train 392/393, the Illini. The former Illinois Central Railroad line — now part of the Canadian National system — runs north to south through the city. A spur line from the Canadian National line provides service to several large industries, including two large food processing plants, on the west edge of Champaign and two grain elevators in outlying communities to the west. The Norfolk Southern operates an east to west line through Champaign. The NS line connects industries in eastern Urbana to the Norfolk Southern main line at Mansfield, Illinois, west of Champaign. The line now operated by Norfolk Southern is the former Peoria & Eastern Railway, later operated as part of the Big Four (Cleveland, Cincinnati, Chicago and St. Louis Railway), New York Central, Penn Central, and Conrail systems, being sold by Conrail to Norfolk Southern in 1996. Construction of the line was begun by the Danville, Urbana, Bloomington and Pekin Railroad. This short-lived entity became part of the Indianapolis, Bloomington and Western Railway before the railroad was completed. Greyhound Lines, Peoria Charter Coach Company and Suburban Express bus companies provide intercity bus service to Champaign. ^ "Annual Estimates of the Resident Population for Incorporated Places: April 1, 2010 to July 1, 2015". Archived from the original on October 19, 2016. Retrieved November 21, 2016. ^ "American Fact Finder, Champaign city, Illinois". factfinder.census.gov. U.S. Census Bureau. July 2017. Retrieved 1 June 2018. ^ Parkland College – About Us – Quick Facts Archived May 8, 2013, at the Wayback Machine. Parkland.edu. Retrieved on 2013-08-17. ^ Sony acquires Champaign-based iCyt Mission Technology, Yahoo!, Volition. News-Gazette.com. Retrieved on 2013-08-17. ^ "City of Champaign official website – History". Ci.champaign.il.us. 2013-01-24. Retrieved 2013-04-08. ^ "RAB Hall of Fame: Carl Perkins". Rockabillyhall.com. Retrieved 2013-04-08. ^ Best Places for Work-Life Balance. Nerdwallet.com (2013-07-14). Retrieved on 2013-08-17. ^ "Weatherbase: Historical Weather for Champaign, Illinois, United States of America – Travel, Vacation and Reference Information". Canty and Associates LLC. Retrieved 2011-09-19. ^ "Averages and Records for Champaign-Urbana Illinois". Illinois State Water Survey. Retrieved 2011-09-29. ^ "Weatherbase: Historical Weather for Champaign, Illinois, United States of America - Travel, Vacation and Reference Information". Canty and Associates LLC. September 2011. ^ "Champaign Champaign County IL historical weather trends". Homefacts.com. September 2011. ^ "City Council". City of Champaign. Retrieved February 17, 2014. ^ "State Farm Research Center". Sfresearchcenter.com. Retrieved 2011-08-05. ^ "Tenant Directory". Research Park. Retrieved 17 September 2014. ^ "TED 2010 Start" (PDF). Archived from the original (PDF) on 2011-07-25. Retrieved 2011-08-05. ^ "2018 Top 15 Employers" (PDF). Retrieved 2019-02-13. ^ "Destihl's Champaign location set for opening by late fall". Pantagraph.com. 2009-07-09. Retrieved 2011-08-05. ^ HPA | Architecture and Design Company Chicago | University Architecture Archived January 16, 2014, at the Wayback Machine. Hparchitecture.com. Retrieved on 2013-08-17. ^ Tower turning 35, but controversy over its construction lingers. News-Gazette.com. Retrieved on 2013-08-17. ^ O'Dea, Janelle. (2013-06-10) Construction of high-rise Bankier Apartments begins on Green Street Archived February 3, 2014, at the Wayback Machine The Daily Illini. Retrieved on 2013-08-17. ^ Green Street landscape to change with addition of high rises Archived July 25, 2013, at the Wayback Machine. The Daily Illini (2013-04-19). Retrieved on 2013-08-17. ^ General Info – FAQs Archived 2008-09-20 at the Wayback Machine. Champaignparkdistrict.com. Retrieved on 2013-08-17. ^ "ORPHEUM CHILDREN'S SCIENCE MUSEUM – Where diverse children of all ages are inspired, engaged and educated through exploration of the sciences and arts". orpheumkids.com. ^ Krannert Art Museum, University of Illinois at Urbana–Champaign Archived November 20, 2008, at the Wayback Machine. Art.uiuc.edu. Retrieved on 2013-08-17. ^ 1889 Logansport/Champaign-Urbana Clippers Statistics – Minor Leagues. Baseball-Reference.com. Retrieved on 2013-08-17. ^ Champaign, Illinois Minor League history. Baseball-Reference.com. Retrieved on 2013-08-17. ^ 1994 Champaign-Urbana Bandits Statistics – Minor Leagues. Baseball-Reference.com. Retrieved on 2013-08-17. ^ Mayor wants to explore options for minor league baseball in Champaign. News-Gazette.com (2011-06-26). Retrieved on 2013-08-17. ^ "American Public Transportation Association past awards page". Apta.com. Retrieved 2013-04-08. 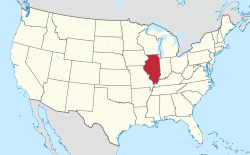 Wikimedia Commons has media related to Champaign, Illinois. Chisholm, Hugh, ed. (1911). "Champaign" . Encyclopædia Britannica. 5 (11th ed.). Cambridge University Press. p. 828.